Symantec's VP for information security, Brian Dye, says that antivirus is dead. We live in a brave new world, not the good old days. 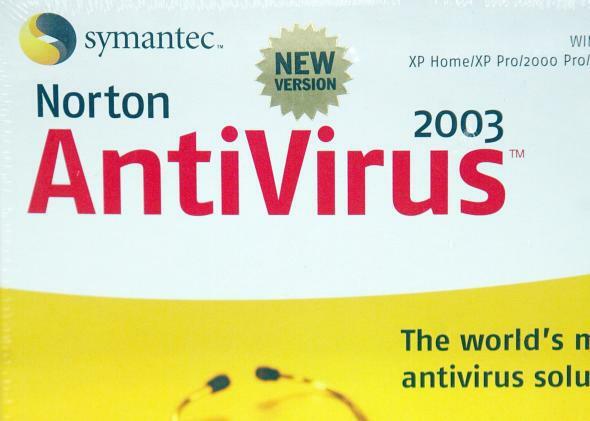 For consumers, antivirus has seemed like the same boring thing since the late ’80s. It runs in the background, downloads updates, and seems to make computers run slower and slower over time. It just feels like a necessary evil. But Symantec, the longtime maker of Norton Antivirus, is finally changing its strategy and doing something new. Symantec’s senior vice president for information security, Brian Dye, told the Wall Street Journal that antivirus “is dead.” He is leading Symantec toward a new approach that focuses on spotting hackers within a system and minimizing damage from them instead of trying to keep them out. “We don’t think of antivirus as a moneymaker in any way,” he told the Journal. This idea is part of a broader shift in the cybersecurity industry toward thinking of vulnerabilities and the hackers who exploit them as inevitable. If you assume that there are malicious threats compromising a system all the time, you defend it differently than you would if you were assuming that the system is intact. The old method of antivirus involved continuously updating a list of viruses and vulnerabilities and downloading updates to fix or defend them. With the new approach, the system doesn’t hinge on keeping a customized yet exhaustive list on every individual’s computer. Like other companies, including FireEye and Juniper Networks, Norton will move in the next few months toward briefings for clients about the latest attacks, and scanning services that look for suspicious code on network servers or other networked devices. Symantec has seen its revenue fall in each of the last two quarters and is predicting another decline over last year for the quarter earnings it will release on Thursday. Changing approach will be crucial for Symantec to stay relevant. Dye estimated for the Journal that antivirus like Norton catches only 45 percent of cyberattacks today. With numbers like that, Symantec definitely needs a turnaround. The company can still sell traditional antivirus as a first line of defense, but needs to supplement with novel services. Norton’s reassuring all-clear after a scan of your system doesn’t feel so comforting now, does it?